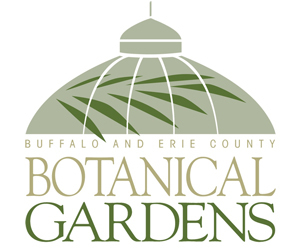 Buffalo-NiagaraGardening.com > Garden tips > Look up– There’s a flower garden on the roof! Look up– There’s a flower garden on the roof! 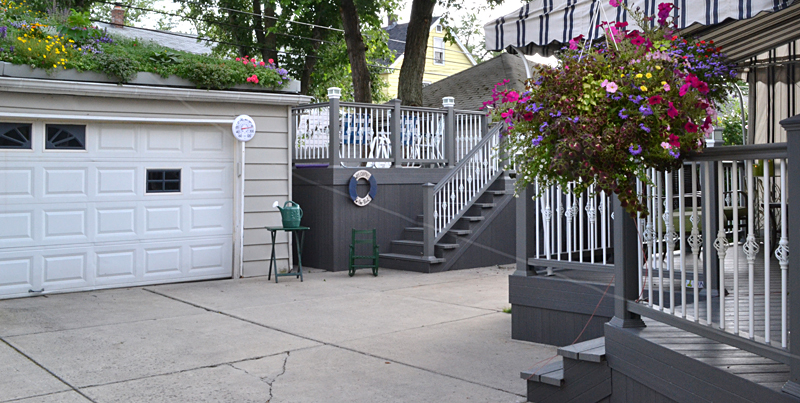 Denis Uminski said he should put a sign in his backyard that says, “Look up!” Otherwise visitors can miss one of the newest and most interesting features of the landscape: a flower garden planted on the slanted roof of the Uminskis’ garage at 95 Columbia Blvd., Kenmore. He and his wife Mary Jane got the idea during a visit to Plantasia five years ago. 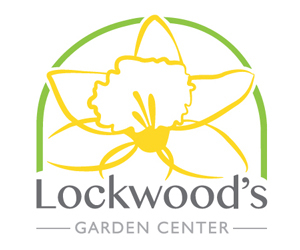 They had the garden installed during the second week in June, so it was in place for visitors to see during the Ken-Ton Garden Tour in July. Part of the reason they installed the roof garden is because their yard is so small. 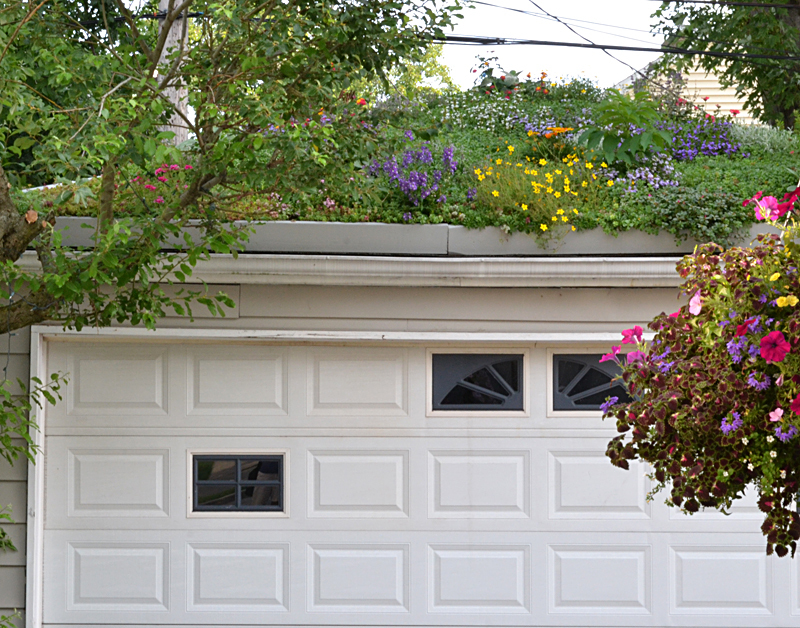 A garage takes up most of the space that might be used for plants. Next to the garage is a small above-ground pool, which is surrounded by a deck that was installed two weeks before the garden walk. The couple’s children used to play in the pool, but now that the youngest is 18, Mary Jane and Denis use it as a quasi-sauna. Mary Jane keeps the water temperature at 95 degrees Fahrenheit. At night the couple enjoys relaxing in the pool while looking at the moon and stars. Another new deck was built at the same time off the back of the house. It provides a spacious entertaining area. Denis and Mary Jane, with their dog Riley, can view the roof garden from the deck. A roof garden or green roof has other advantages. It can help reduce the urban “heat island” effect. It can help retain rain water where it falls, which can help keep the Niagara River and our other local waterways clean. It can help to insulate the building. 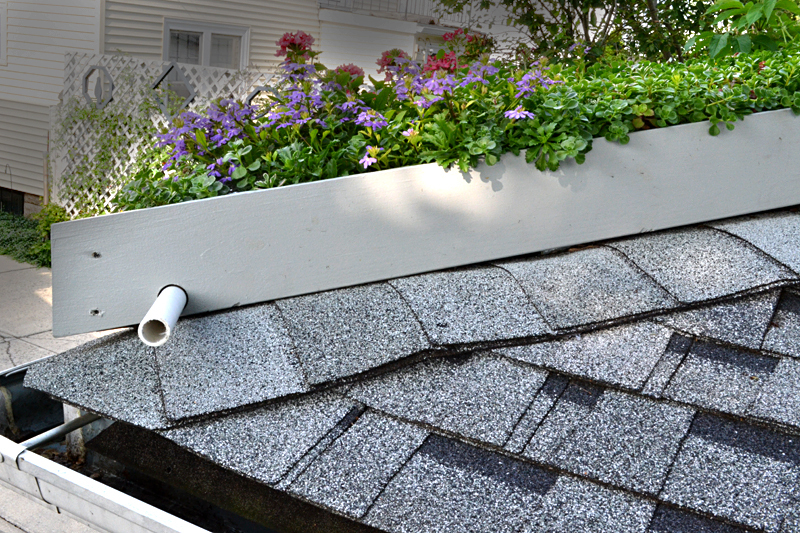 A green roof can last longer than an ordinary roof, too. But that’s not why the Uminskis installed a garden on their garage roof. The Uminskis’ roof garden is essentially a carefully built container gardener. However, you can’t just build a box and set it on your roof. The roof garden is constructed with a waterproof barrier, a drainage layer, filtration layer, and growing medium, then it’s topped with the vegetation. The Uminskis are going to have a contractor brace the garage roof to make sure it can withstand the weight of the garden plus heavy snow. Roof gardens or green roofs are often done on flat roofs. The Uminskis’ roof is slanted, but doesn’t have a steep pitch. The garden covers only the front quarter of the roof. It would have been more expensive to do the entire roof, and the front is the only part that can be seen easily anyway. Watering is easy, Denis said. A sprinkler hose is hidden in the flower bed. The hose extends off the roof and is concealed in the plants growing up the trellis along the driveway. When it’s time to water, he pulls the the hose across the driveway and hooks it up to the spigot on the house. “I turn it on for 15 minutes and the bed is soaked,” he said. When water starts to drip out the pipe you see in the photo above, the garden is saturated. This side view is from the deck. He has watered the roof garden about once a week this summer. Mary Jane said watering the roof garden is actually easier than watering the many pots and hanging baskets they have. Perennials in the roof garden include blue fescue, blue perennial salvia, miniature primrose, creeping thyme, cerastium (snow-in-summer), armeria and lamb’s ear. There are three creeping sedums: dragon’s blood, kamtschaticum and rupestre. The company included a few annuals as well: scaevola (fan flower), portulaca and gazania. Now that the professionals have it started, Mary Jane plans to continue the garden. 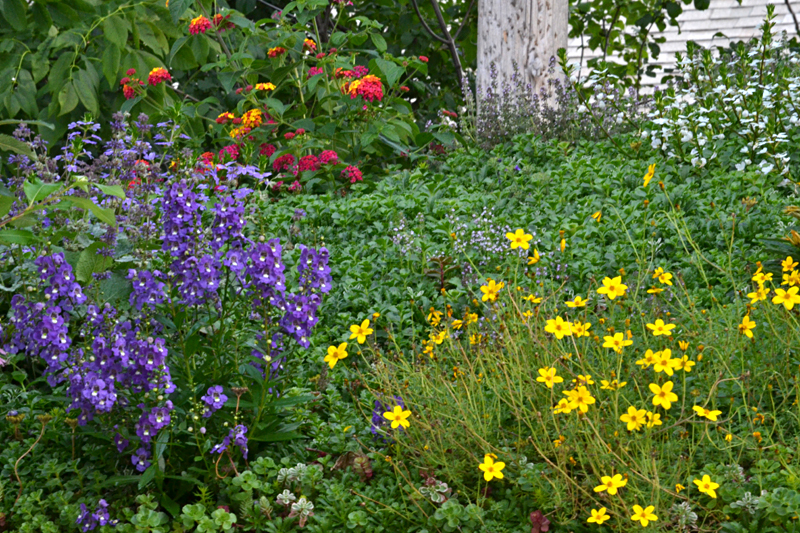 She said she may add some cold-hardy annuals this fall and will definitely replant annuals next spring. The garden can be accessed from the deck around the pool. For the most part, they don’t weed the garden. The Uminskis don’t consider themselves to be gardeners, but they are surrounded by flowers. 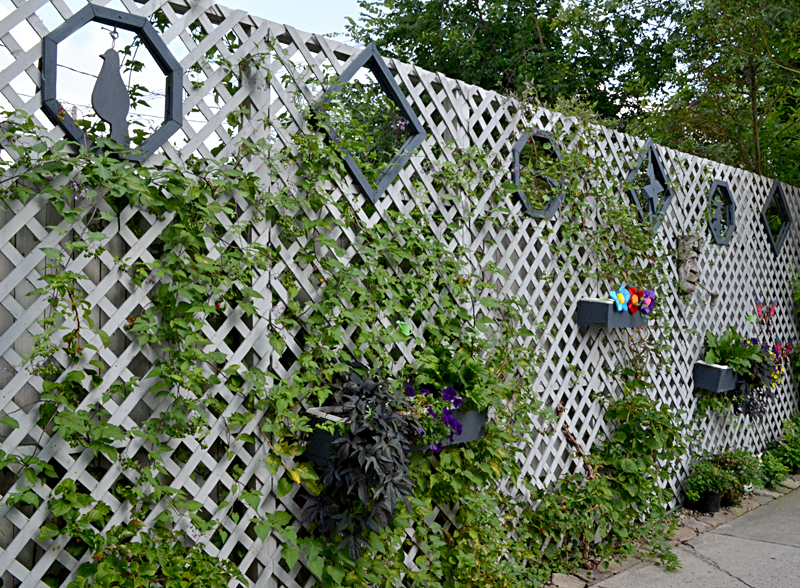 The trellis along the driveway is covered in vines and flower boxes. 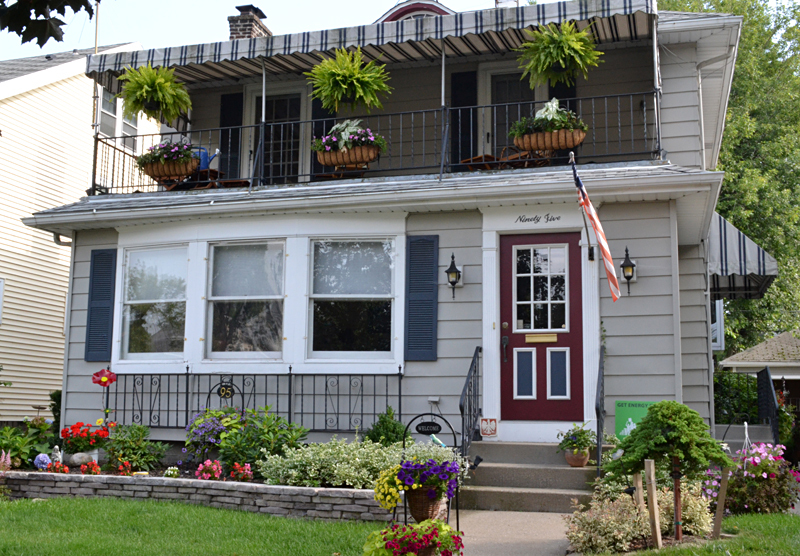 At the front of the house, hanging baskets, potted annuals and flower boxes are displayed from the walkway to the second floor. While the entire landscape is attractive, the conversation piece is definitely the rooftop garden on the garage. Because it was installed just a few months ago, the Uminskis aren’t sure what it will look like in autumn and winter, though they expect it will be interesting. “It’s a mystery unfolding,” Mary Jane said. While it’s lovely to see the roof garden from the deck, there are also excellent views from their bedroom and living room. Interesting application. It does seem difficult to maintain though as tree seeds are bound to sprout.